Three of us, our personalities as diverse as the meal we shared, sat around the table laughing and celebrating food, company and, each in her own way, a commitment to spiritual life. The meal was at my home and, when I thought about it later, the host usually offers the blessing. In recent years, however, I’d fallen into a habit of silent blessings ─ or no blessing at all ─ over meals with friends. We closed our eyes. I opened one eye to peek at Sandra. She was the one, after all, who had asked for the blessing. She was — waiting. I am not unfamiliar with saying grace. Praying before eating was a three-times-a-day practice in my childhood. Not a crumb would pass our lips before prayer. To attempt to sneak a bite was, at the very least, foolhardy. A spoon or fork could be sent flying if a child did not wait for the Lord’s blessing. I remember my grandfather saying grace. He was a deacon and a very devout man who would repeat a prayer before every meal. The morning grace was the hardest. We’d listen patiently as he spoke the familiar lines before beginning his improvisation. His improvising, it should be known, was the place where hot food went to die — to become cold. But here’s the thing: his purity of heart and love for God was on that table. We could feel protection covering the food. His power was that palpable. Even as, in our minds eye, we could see the melted butter hardening again, we also knew that no malevolent force would dare approach our food. Granddaddy had a spiritual power that drew God’s protection for his family. Saying grace is not a mystery. 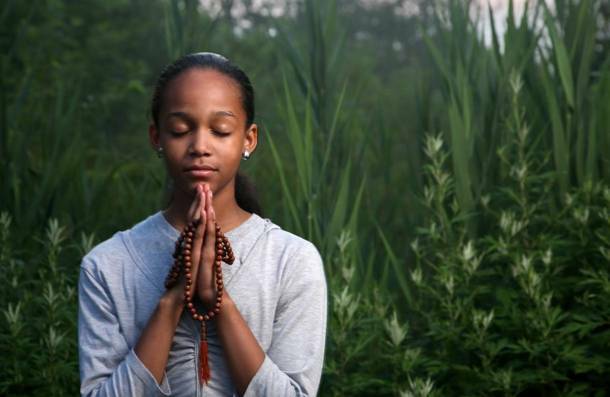 The willingness to be present and grateful for the present moment draws the power. With Sandra’s request, I tried to remember the grace my parents used to say. “Heavenly Father, we thank thee for this food to nourish the body though not the soul…” And that was all I could remember. It felt too far in the past. When I was diagnosed with Guillain Barré syndrome (GBS) in 2012, the disease took away my ability to use my hands. I love cooking and sharing my meals with others. It’s a joyful task. But with GBS, I could not comb my hair, let alone knead dough, chop vegetables, or make a soup. That too is now in the past. Today, I can make biscuits, roast a turkey, and or juice apples. And I can look back on 2018 and see blessings in everything, large and small: my physical healing; my mothers’ death and reconnecting with estranged family; new friends and neighbors; the ever expanding awareness of love in the world even as citizens panic in and recoil from the vortex of Trumpism; and still, the wonder of being grateful. The instant I connected with gratitude, self-consciousness dropped away. While dining with a friend, I reflected out loud, “I want a lot of softness around me.” It was a prayer released into the air. I was so tired of the drama with folks who felt that aggression was the way to success. In that moment, a few seconds felt like I was frozen in time. When I became aware of the movement around me again—people bussing trays and the café filled with noisy chatter—I knew I had hit on a significant truth about myself. Apparently, my friend understood completely because she nodded her head and said “yes!”. It was a desire for fewer disagreements, more kindness, honest listening, and deeper sharing with friends and family. With her recognition of this desire, I didn’t feel alone anymore. January 2018 had started with a bundle of newness: new writing, new personal insights, and a new food management plan. Then Mom died. It was not unexpected. She’d had Alzheimer’s for several years and was a month short of 96. Attending her funeral would be my first travel experience since I had been diagnosed with Chronic Inflammatory Demyelinating Polyneuropathy (CIDP) in 2013, a condition that had, at that time, left me paralyzed and weak in the legs for many months. I was nervous about the journey, but after all my years of progressive recovery, I felt strong and ready. In going to Washington, D.C. for nine days, I would be surrounded by relatives I hadn’t seen in decades. There would be dinners with siblings and other family and a funeral repast with old family acquaintances and neighbors. I’d be stretching myself to the limit with travel by train, social interactions, and using Uber to go between the hotel and my brother’s home where there were too many steps for me to stay there. The physical effort meant being outside in sub-freezing weather, pulling luggage, and staying up until 11 every night as my siblings and I worked on funeral details. The likelihood of staying on my new meal plan was doomed. Pizzas, fried chicken, and breakfast pastries became the daily cuisine—fast, filling, and cooked by someone else. I wanted—and needed—someone to walk with me; someone who could hold me up and carry my heart gently in his or her hands. Someone, perhaps, who really knew me. Overnight, the five of us had become orphans, and yet we did not share that familial intimacy. Perhaps this was why I felt desperate for a friend with whom I could share the thoughts close to my heart. But is there a friendship that can meet such a need? Every person has a boundary when it comes to openness and vulnerability. In choosing friends, I have made some mistakes. I was thinking about the concept of “softness around me” on the day I returned from my mother’s funeral. Feeling sad, I called a woman that I considered a new friend since moving to Pennsylvania. In the past, we had talked about politics, philosophy, and where to find good men. We had cooked together and shared family pictures during holiday meals. So…when I got back to town, I rang her up. Phone calls were not returned. Neither were text messages or emails. Weeks later when I heard from her, I was stunned to learn that she thought our “expectations for friendship are different.” I did not know what she meant. I was hurt, but also angry. Faced with the realization that I had somehow unwittingly made someone uncomfortable, I had to look at how I choose friends and what my expectations are. Clearly, my inner “friend-picker” needed repair. I was now faced with another new task for the New Year: Approaching my seventies, I would have to learn how to choose new friends. When I graduated from high school, my classmates and I used to write a common verse in each other’s yearbooks. Love many, trust few; learn to paddle your own canoe. My need for deep friendship on any given day can remain securely hidden behind the pots and spices in my kitchen. But need has a way of breaking out of hiding places. When it does, judgment dissolves. I’ve been filled with yearning. Well, for one thing, with a plant I knew I would see change in the form of vibrant growth and an abundance of leaves. With a plant, I’d see time in motion. Visiting the local organic market reminded me of something very important. Change is good. It’s time to change my blog, again, and renew my commitment to stay current. I began this blog with weekly posts. What an exciting time that was! Then, when I was admitted to the hospital, I posted once a month (or was it every six weeks?). I took that as a challenge from God, the universe, or whatever folks call their higher power these days. Do I really want to write? How transparent do I want to be? Do I want to be confined to stories about family and friends? It became more challenging, and the frequency shifted to every two months, then three—until today. There are so many reasons for the delay. Well, at least I like to think there are. It’s not because my family has become less interesting, although there are times when I wish they were less interesting. It’s certainly not because there’s less to say about food and my peculiar food interests. And it’s not because of the weather, as much as I would like to blame my lethargy on the almost 40-degree drop in weather (from 90 and humid to 50-something and raining. What can I say? It’s Philadelphia after all). No, the delay is not due to any of those things. Here’s the thing. I’m working on a novel. You heard it first here. And here’s another secret. I turned 69 this year, and I kept hearing the tiniest whisper in the trees—okay, maybe it was that precious basil plant—”if not now, when?” I’ve also signed up for an online writing course and, although I’m not a matriculated student, the amount of coursework would break a horse at the Kentucky Derby. The intensity of keeping up with it all is what sent me to the organic market. There, I filled my culinary yearning by fondling those little plastic containers of pesto, hummus, and dips. I sighed softly as I held blocks of cheeses from all over the world, cupping them in my hands as if they were rocks of gold—or maybe a lover’s face. (I won’t purchase the cheese, mind you, I’m off dairy—doctors orders.) Then, there were those whole organic, free-range chickens—at half the price of other markets in the area. I guess food will always be a part of my story. 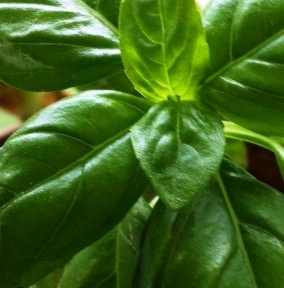 And so, I bought the very fragrant basil plant. It filled my apartment with the smell of newness, of spring, of purpose. After all, if I’m going to change, begin a new cycle, I want nature to support me. Over the winter, I’ve been stuffing my intellectual belly with books by and about women who grow, harvest, and love food and the graceful generosity that cooking and sharing meals creates. I’ve been (probably) growing my newly diagnosed cataracts by constantly reading about writing, spirituality, and race relations. I’ve been sticking my foot in the waters of book reviews and learning that even if I don’t like a book, there is always something positive to highlight. I’ve been busy. Perhaps it’s because, in my gardening experience, I’ve learned to respect the time it takes to nurture the seeds of new growth. Respecting that time makes me feel less anxious about my yearning, and it makes me want to be more disciplined about my writing. I’m writing a novel. But I told you that already. So here I am, tending my basil plant, thinking about the prospects of an apartment vegetable garden, and focusing on a story worth two to three hundred pages. While it takes away from my blog time, the promise of new growth is exciting. On a warm day, during the Christmas holiday, I, the cook who usually whines about winter, was feeling content. But a little more than a month before, on November 9th, I didn’t feel so content. I had stopped cooking, felt as if I could barely breathe, and teetered on the abyss of lost faith. Damn it. Who were those people that did not vote? The United States Election Project estimated that approximately 56.9 percent of eligible voters actually cast ballots in the 2016 presidential election. A fellow writer declared it a national disgrace. I agree. So I asked anyone who would listen, “who are these people?” The answers I got taught me about some of the people in my world. There’ll be some changes made. As November became December, my anger, frustration, and fear receded. Anger and fear are (for me) such immobilizing forces. I needed to reconnect with that part of me that is unconquered by fear. So, on that warm morning, I did what I needed to do. I thanked God for a new day, stared into an empty skillet, and got started with a holiday meal. I needed to turn my attention to the things that mattered in my life: good health, good food, productive thought, writing, and spiritual nourishment. I needed to not be afraid. I decided to roast a whole chicken in an attempt to make up for a horrifying Thanksgiving turkey disaster. While I’m certain kitchen life is not what Henley had in mind, I needed to keep going. I might have easily given up and cooked pasta because, truth be told, I could’ve killed a prize fighter with the drum sticks from that Thanksgiving bird. But I would not be conquered. With some trepidation, I pushed forward with “Invictus” going around and around in my brain the whole time. Long ago, a boss of mine said with amazement, “God, you’re tenacious.” Hmm. If he only knew. I read that “Invictus” inspired Nelson Mandela every day of his 27 year imprisonment. I understand why. The words light a fire of conviction in my heart. Keep going. One evening, as she sank into the warmth of her favorite chair, she nibbled on a piece of sweet potato pie. I watched and listened as she smacked her lips with deliberate and stubborn enjoyment. I shivered inside at how much I feared her. Who else could eat pie with such authority? We’d just had a discussion—or was it an argument?—in which she, once again, silenced me with her eyes. Never mind the documented facts of what we were discussing. Only one fact mattered: she was the mother; I was the child (even though I was well into my 50s). “So stubborn,” I thought to myself. She smacked her lips in satisfaction. This was my pitiful attempt at regaining some kind of self-dignity. She smacked with impenetrable–I dare say unconquerable–glee. Her life hadn’t seen much glee. But once she found it, she would not let her glee be suppressed. Our roles are complete. Mother. Daughter. This is the way things are and always will be, even after we are both long gone from the planet. This is who I learned from. I’ve inherited this great stubbornness, this unconquerability. This certain kind of fearlessness. This trait has served me well. I’ll not be conquered by fear. Oh, about that chicken… I could’ve shaved nails with the breast of that bird. But I’ll keep working at it. We sharpened our knives. Not for oysters, but fish. Ms. Hurston’s words seemed to be my father’s modus operandi. At 6’3’’, 200-plus pounds and muscular, Daddy commanded the attention of everyone around him. The world busied itself with issues of poverty, race, war, and class, things that affected our segregated lives directly. Eating together as family offered respite. In creating a meal, Daddy made it up as he went along, singing or whistling most of the time. His resonant bass seemed almost too big for our tiny apartment; it saturated the walls of the small kitchen along with the smell of hot sauce and onions. We are from a Gullah tradition, descendants of West African slaves who settled along the South Carolina coast building a proud and distinct culture. They called us geechee, a once pejorative term. For us, everything began with rice. One of us would put the pot of rice on, and Daddy would decide what vegetables and spices would be going into the fish or meat dish. We were curious, and each of us showed our curiosity in different ways. As the eldest daughter, I offered a frowning face. I knew my sister and I would be assigned the job of gutting, scaling, and taking the heads off the trout, perch, croaker, or whatever he and his friends brought back from their day of tossing lines and hooks. If we happened to find a fish belly full of roe (which I would not eat, thank you very much), Daddy was very, very happy. While I frowned, my mother, an exemplary cook accustomed to Daddy’s larger-than-life show of enthusiasm, rolled her eyes. My sister, an adventurous eater, could not wait. Hungry with curiosity, she could not hide her excitement about culinary exploration (that hasn’t changed. Alligator meat?! Sigh…) I vaguely remember my brothers in the background, watching and learning what it took to be a man adept in the kitchen. My father’s example was a strong one; every one of my brothers became an excellent cook. I waited in silence as my sister, 3000 miles away, surfed her memory. Fish was usually fried or grilled, and often accompanied by savory brown gravy. I could almost taste her fondness for the meal in my mouth. Fish stew. Of course. That’s what happened with all of those fish heads. Somehow, the things that were the least irritating and the most comforting have masked or chased away experiences that were the most frightening and least understood. The shadow in our lives was alcohol. Daddy drank. A survivor of World War II and the Pacific Theater, he suffered nightmares for years, I am told. Alcohol dammed his weeping on those days when he would drive 30 or more miles into Maryland for a brick masonry job only to be told that they weren’t hiring “coloreds” that day. I only remember seeing him weep once, when a dear, dear friend of his died. But this morning, my mental snapshot is of Daddy standing over the stove, his arms in the air, and a world-engulfing, rapturous delight on his face. He was fatherly in the best of ways: pretending to be a horse so the children, cousins and all, could get rides on his back; taking us to the carnivals that his volunteer fire department put on every summer—rides and cotton candy included. Going to the circus, I wanted to grow up and become a part of the magic. Baseball games, finally integrated, inspired my interest in the athletic, even though I felt closer to dance. But I still have my father’s baseball. And, while it is almost a cliché, I stood on his feet as he taught me the cha-cha and whirled me around the room. White hatred could not reach us in these places. He was never MIA (missing in action) like too many fathers. They don’t know what they are giving up. Some salt, hot pepper, greens and onions. The meals, seafood or meat, weren’t complicated. His eighth-grade education and life experience made him an excellent philosopher and improviser. Daddy was bold in his flavors and his life. He faced things as they came along, following an internal compass about people, life, and food. No one in the family, immediate or extended, would ever lack food. 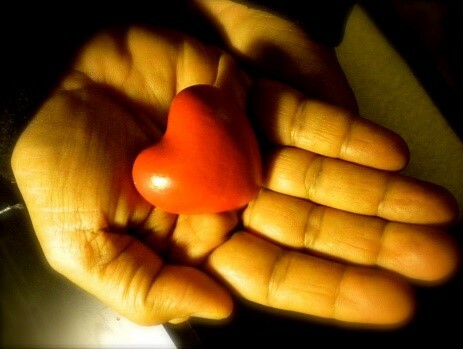 I can’t and won’t speak for anyone else, but I intuited that he wanted me to live by the heart. A few days after his funeral, I had a dream. He was in formation with other soldiers, and as I walked up to him, he stepped out of formation, turned to me, and saluted. Posted in African American, Creative Non-Fiction, Essay, Family memories, Food, Stories about life, values and spirituality, Writing from the heart, Writing. Loving. Tagged African American life, creative nonfiction, essay, Family Food Stories, Family memories, Heart and Mind, Humanity, inspiration, Life As I Know It, Life Stories, story telling, values and spirituality, Writing. Loving. On the Web and in social media, you can’t throw a tomato in any direction without hitting a food writer. There are gazillions. A zillion more of us are wannabes. I’ve spent years trying to figure out how to be a good food writer. What does a great food writer have that makes me want to live the culinary good life? I once thought it was about the food. Now, I know better. It’s about relationships. It was both a request and a command. At 11, I understood that “please” was not a part of my grandmother’s vocabulary. But I did not need a “please.” I adored her. I studied her steady movements in the kitchen. She moved with intention. Every muscle and tendon had a purpose; there was no wasted energy. She’d place a hook into the rim of the metal plate on the stove, lift the plate, shove a log in, start the fire, and replace the plate. When the fire was at its peak, she’d place a coffee pot on the stove. The heat from the fire was fierce, and the small kitchen became too hot in too short of a time. It was summer. 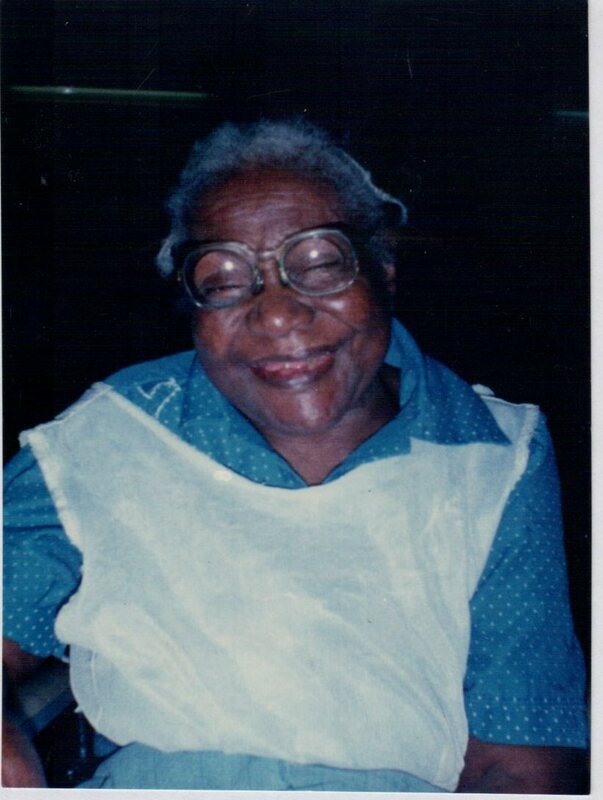 Rivulets of perspiration bathed Grandmother’s ebony face. A cool drink of water was the remedy. “Bring me a cup of water.” That’s all she needed to say as she wiped the sweat away with the tip of her apron. Outside, the sounds of squealing pigs, mooing cows, clucking chickens, and crowing roosters blended with the sound of crackling firewood. One of those animals could be on the table by dinnertime if Granddaddy had his way. A rank scent of manure and dew-soaked fields made my heart beat fast. And there was a slab of bacon on the table, testimony to the alchemy about to take place. Dipping the long-handled aluminum cup into a bucket of well water–I’d proudly pumped that water myself–I asked a question. She nodded and I grabbed one of the jelly glasses we often used for drinking. I still remember the taste of that water. I watched her in silence, sipping my water as she sipped hers. I wondered what she was thinking as she prepared to make breakfast. Standing away from the stove and staring at the kitchen table, she may have been creating the breakfast menu and counting the slices of bacon she would need for the 11 mouths that would soon be around the table. Breakfast would be simple: homemade biscuits slathered with butter and homemade jam, eggs we had gathered together, creamy grits, and, of course, bacon. As people began to move around, chamber pots were taken out and emptied, faces and hands washed in basins, and teeth brushed outside. Around the table, we were a Rockwell painting in black: Grandmother, Granddaddy, my parents, my brothers and sister, cousins, aunt and uncle. As we basked in the warmth and fragrance of the meal, Granddaddy offered a prayer of thanks to the God that kept us together. Over the years, as I traveled around the country trying to “find myself,” I missed my grandmother’s funeral. Decades later, I’ve found that elusive “self.” But it’s not as I imagined. It’s in memory and lessons learned from being around a wood-burning stove and a woman with pure intention. I’m back to the beginning. It’s not about the food itself. It’s about relationships. Posted in African American, Creative Non-Fiction, Essay, Family memories, Food, Heart and Mind, Life Stories, Memoir, values and spirituality, Women, Writing from the heart, Writing. Loving. Tagged African American life, creative nonfiction, essay, Family memories, food and memory, Heart and Mind, Life Stories, loving relationships, memoir, Reflections, relationships, story telling, Writing. Loving. Pause. The deliciously blue sky where you are. 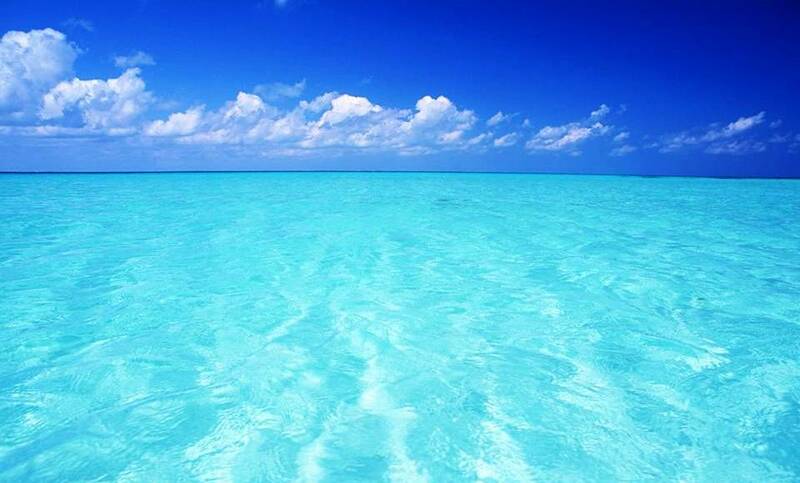 The color of the sea at your favorite vacation spot. A calming color. I have done just that over the last three months. As I review W.O.R.D.S. and how it can transition and grow, I have taken a–pause. The stories remain, and yet, I, inside have changed. A new post with new stories is coming in a week. In the meantime, think about–pause. 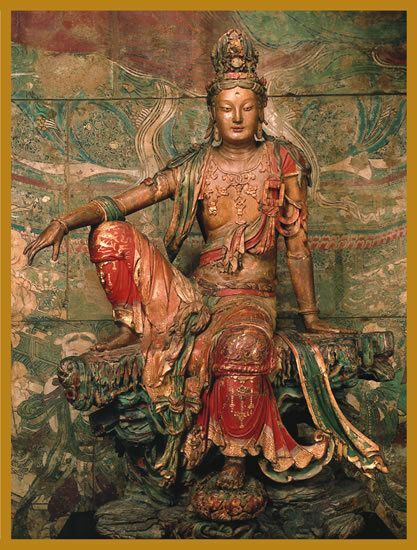 Posted in Commentary, Creative Non-Fiction, Heart and Mind, values and spirituality, Writing from the heart, Writing. Loving. Hi there. I’ve been away for a while. It scares me because part of me is not clear how two months went by without writing a thing on these pages. Part of me wants to say that it has been my participation in other writing projects, but the other part of me knows better. Prior to my diagnosis of GBS/CIDP, I was infatuated with my own cooking ability. Now that sounds egotistical, but the truth is: I would kiss myself in the kitchen. Now that I’m getting my strength back and can do some shopping, chopping, and sautéing (thanks to my food processor and Blendtec super machine), life is, I must say, very, very good. Take today, for instance. Do you smell that? It’s chicken livers and onions smothered in gravy. This former vegan is a happy eater. There’s a lot of healing, and not just physical, that comes with preparing my own food. There’s no mystery to this. Folks have been writing about it for centuries and continue to write about it today. Food is healing, but cooking it yourself is quantum healing. So about the title. I’ve never liked okra. By the way, that means never. Growing up with Southern food, okra was a major ingredient. There was stewed tomatoes and okra over rice dinner. And gumbo. There was also just plain old fried okra. If there is one vegetable guaranteed to get my gag reflex going, it’s okra. So imagine my surprise — really, I’m not kidding — when I was at the farmers market last week and I found myself reaching for okra. I’d heard that it has lots of anti-inflammatory qualities and vitamins and such, so I fell for it. Before I go further, I want to point out that I figured out that my temporary separation from the blog was a good thing. I was swimming in the muck of what was wrong with this world. It doesn’t take much to hear it, see it, feel it. It’s all around us. Yet, once I started diving into writing about issues, something amazing happened. I stopped writing. I was depressed. I know about issues. Look at me. I live in the United States. I know issues aplenty. But my reason for writing had fallen into a sewer of social and political angst. Preachiness, judgment, and— well, you know. 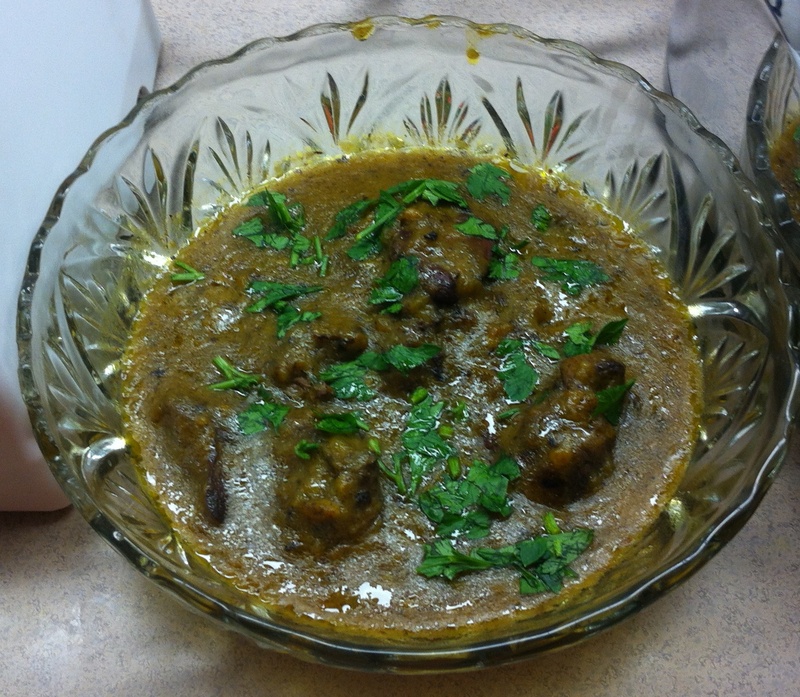 This morning, when I realized why I subconsciously took two months off, I took a photograph of my chicken livers. Damn, that felt good. Back to okra. Two childhood foods stand out in my mind: my love for liver and onions and my distaste for okra. So, after I purchased the okra from the farmer, I needed to do something with it. I was moaning to an 80-year-old woman I know about my waste of money when she suggested that I fry them. I remembered frying okra at my mother’s suggestion 20 years ago. That was the last time I cooked okra. Nevertheless, I gave it a whirl using a mixture of seasoned flour and Italian bread crumbs. Nothing fancy. 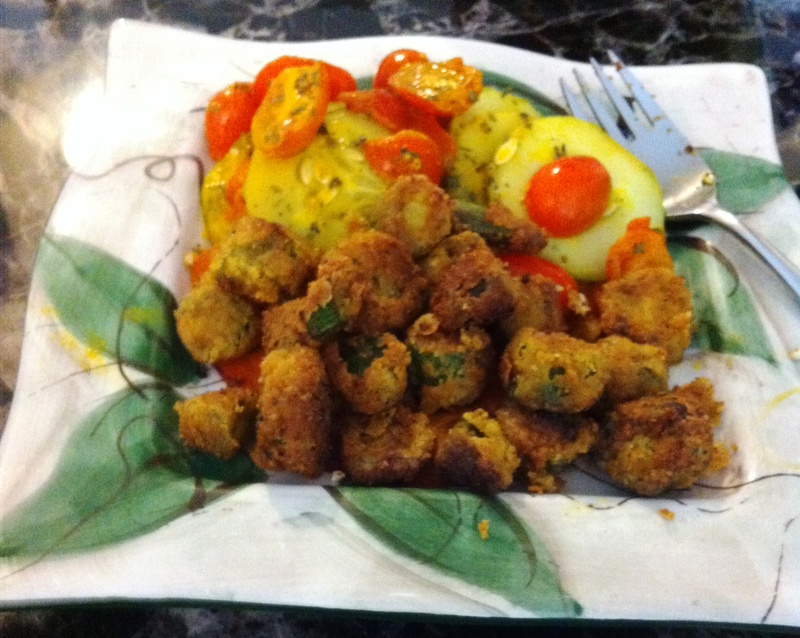 Just the seasonings, the ghee that I fried them in, and the beautiful cucumber tomato salad on the side. I’m no food stylist, and the pictures sure aren’t pretty, but I’ll tell you one thing: I’m out of my funk. Posted in African American, Creative Non-Fiction, Essay, Food, Memoir, values and spirituality, Writing from the heart, Writing. Loving. Tagged creative nonfiction, essay, food, inspiration, Life Stories, memoir, values and spirituality, writing from the heart, Writing. Loving.